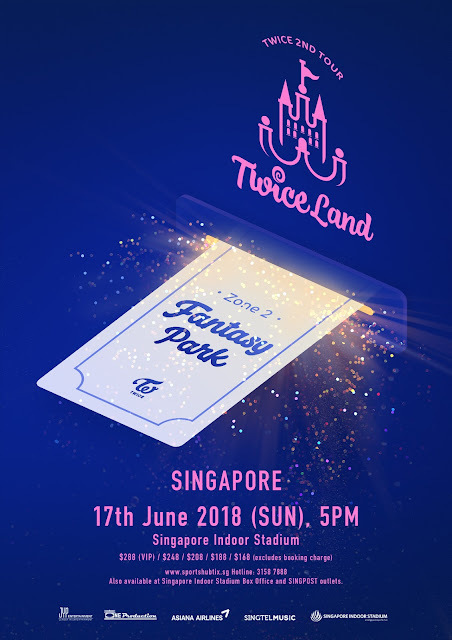 South Korea’s hottest girl group TWICE will be making their highly-anticipated return to Singapore for TWICE 2ND TOUR 'TWICELAND ZONE 2 : Fantasy Park' IN SINGAPORE on 17 June at the Singapore Indoor Stadium! Fans of TWICE, one of the most popular girl groups in Korea, have been waiting eagerly for their long-awaited second tour. 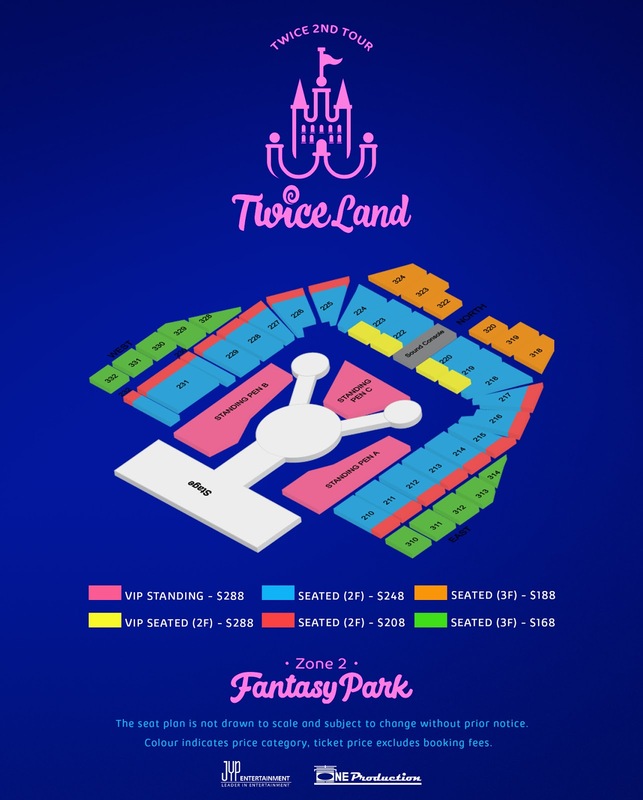 TWICE 2ND TOUR 'TWICELAND ZONE 2 : Fantasy Park' will kick off in Seoul from 18– 20 May. Tickets for the Seoul concert were snapped up upon release. After their 3-day concert in Korea, TWICE will embark on their concert tour and Singapore will be the first Southeast Asia stop. 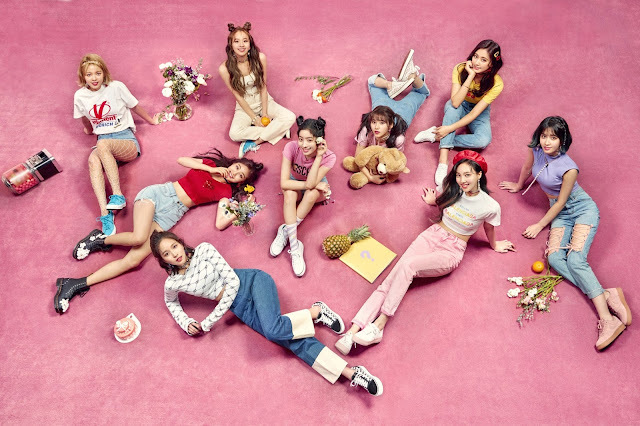 After their first sold-out concert last year at The Star Theatre, which attracted a 5000-strong crowd, TWICE will be coming back to Singapore and this time, performing at a larger venue, the Singapore Indoor Stadium! This also marks their maiden performance in one of the most iconic concert venues in Singapore! Fans will be in for a treat with a fantastic production for the show that includes an impressive stage setup, spectacular visual effects and stellar sound effects. Tickets for TWICE 2ND TOUR 'TWICELAND ZONE 2 : Fantasy Park' IN SINGAPORE are priced at $288 (VIP), $248, $208, $188, $168. The VIP package will include 2 exclusive gifts and 1 lucky draw chance for a Hi-Touch Session with TWICE. All winners will be selected at random and more details on the VIP package will be released on ONE Production’s Facebook pagehttps://www.facebook.com/OneProductionSingapore/ a week before the event. Tickets will go on sale from 15 April, 1200h via Sports Hub Tix ticketing channels. Singtel mobile customers can enjoy priority sales from 14 April 1000h, to 15 April, 0800h. For more details, please visit Singtel’s Facebook page. Please visit One Production's Facebook for answers to your inquiries in regards to the concert. This article is brought to you by One Production and GOkpop.